ScanSnap S1300i Driver Download & Update. Easily! It’s always important to have the latest drivers for your scanner to keep it in tiptop shape and improve the overall computer performance. 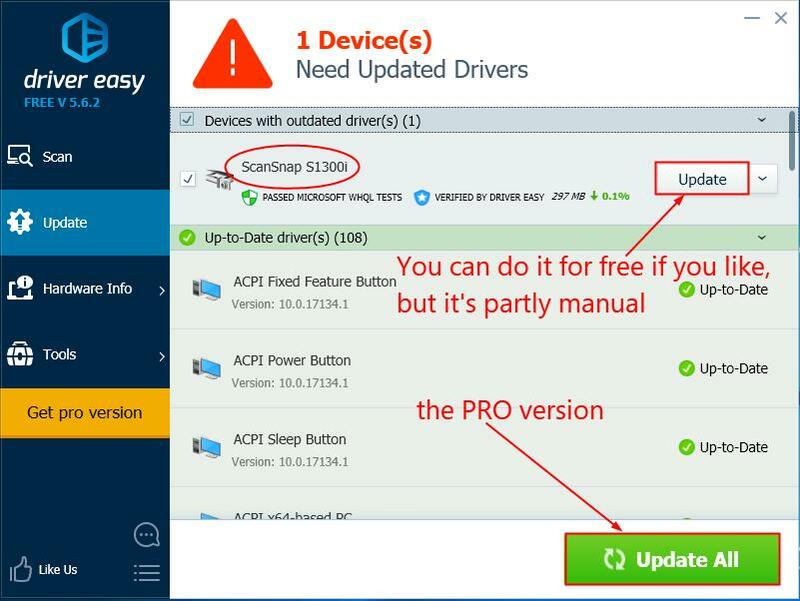 In this post, we’re showing you 2 easy ways to get the latest ScanSnap S1300i drivers. 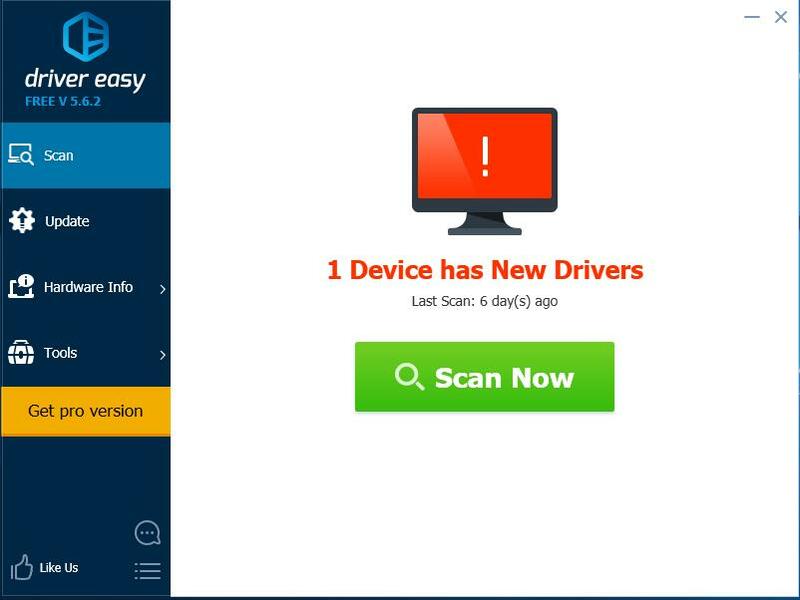 If you’ve updated your driver with Driver Easy but your driver issues persist, please contact Driver Easy’s support team at support@drivereasy.com for advice. You should attach the URL of this article so they can help you better. According to Fujitsu’s official website, the ScanSnap S1300i driver is packaged into ScanSnap Manager (which we will download in the steps). And we might also need to have ScanSnap Installer in the first place to make sure we can install ScanSnap Manager. Go to ScanSnap Software Downloads. 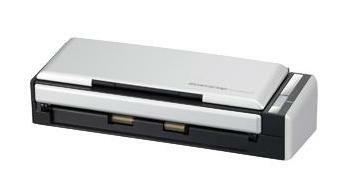 Select ScanSnap S1300i, choose your OS, and then click Display software list. Click Download in ScanSnap Installer and Download in ScanSnap Manager. 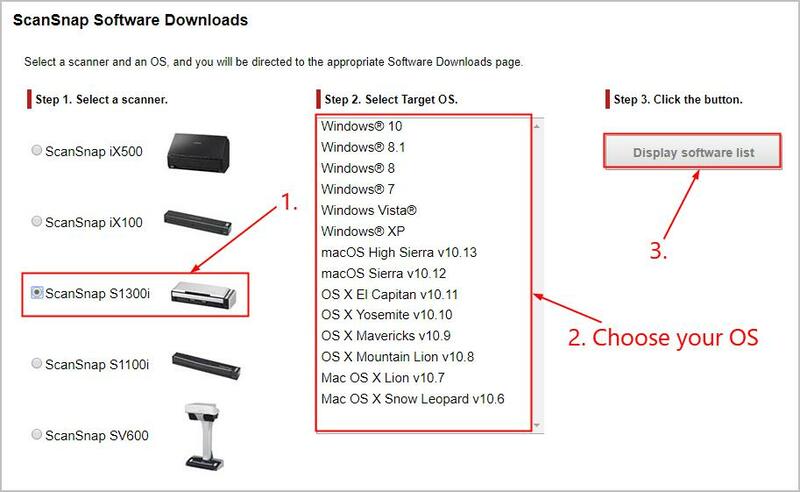 Double-click on the downloaded ScanSnap Installer file and follow the on-screen instructions to finish the install. Restart your compuetr for the changes to take effect. Then double-click on the downloaded ScanSnap Manager and follow the on-screen instructions to finish the install. Now congrats! You’ve already updated your ScanSnap S1300i scanner driver successfully on your computer. Feel free to drop a comment below if you have any further questions.